Analysis: What exactly is Shi Jian 17 up to? While the USA frets about the activities of certain Russian inspection satellites, and France frets about the activities of certain Russian eavesdropping satellites another satellite in orbit has caused raised eyebrows amongst orbital analysts. And this one is Chinese: the Shi Jian 17 (SJ-17) satellite, currently located in geostationary Earth orbit. We say “currently” because it has been moving between geostationary and an inclined geosynchronous orbit in a very unusual way for a communications satellite. Officially, the SJ-17 spacecraft (International Number 2016-065A) is an experimental communications satellite testing out new technologies and has been developed by CAST. 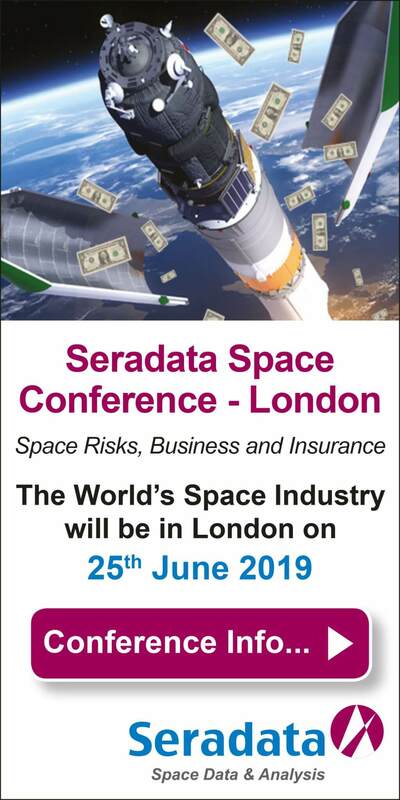 As well as being used for traditional communications and broadcasting activities, it is also performing technology demonstrations of new thrusters, autonomous navigation, advanced solar cells and – importantly – taking part in the observation of orbital debris. China has, to date, never admitted having a military satellite in orbit. Yes, it has several up in space, but even Chinese military reconnaissance satellites are usually described in official launch announcements as being for the purposes of “agriculture, crop monitoring and disaster relief”, even if they are actually looking at tanks, warships and military aircraft. China does not want to frighten the horses – or rather the US Department of Defense, you understand. 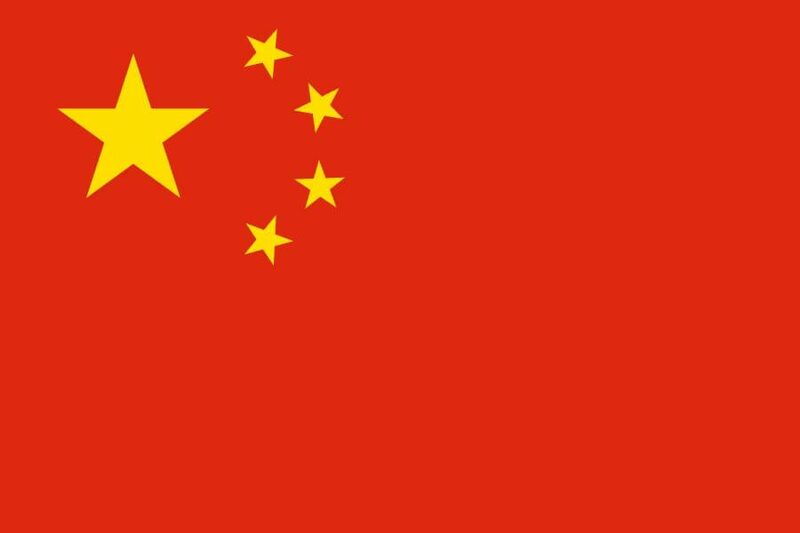 Flag of the People’s Republic of China. Except for spacecraft designed to operate in an inclined orbit, for most communications satellites in the 36,000km circular Geostationary Earth Orbit (GEO), having an inclination of more than, say, one degree is something to be avoided. This is because, while the spacecraft may still be in a 24-hour orbit and centred over a fixed longitude, it will move in a figure of eight up and down in the sky – the larger the inclination, the more stretched this is. It is, thus, in a “geosynchronous” rather than “geostationary” orbit. This is not a problem for military users who can use their tracking antennas to receive and transmit signals to the satellite in an inclined geosynchronous orbit. However, an inclined orbit does reduce a communications satellite’s commercial value as commercial clients do not usually have, or want to use, tracking antennas. Of course, some communications satellites end up in this unhappy inclined state either because their operators want to extend their lifespan by not using North-South station-keeping fuel, or because they have no other choice after a launch failure. This does not appear to be the case in this instance. So back to SJ-17. This satellite had an uneventful start, albeit it was launched by China’s new Long March 5/YZ-2 rocket on its maiden flight. At 1243 GMT on 3 November 2016, the rocket launched the spacecraft from the Wenchang launch centre. Via a series of second-stage and upper-stage burns to reach parking, transfer orbits and a near final orbit (the upper stage had to make a longer burn to make up for a second stage underperformance), the YZ-2 finally released the satellite in near geostationary orbit with an inclination of less than one degree. From then on, the now separated SJ-17 satellite’s on-board propulsion managed to fully circularise the spacecraft into the geostationary arc before the end of November 2016. 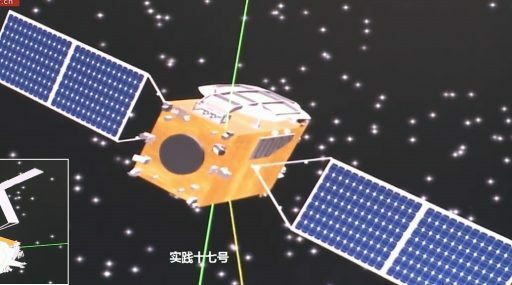 Now in the hands of China’s main quasi-commercial communications satellite operator, China Satcom, SJ-17 was tested and began operating at a location over 163 degrees East. It was later moved to 125 degrees East in June 2017, and then in October to 118.2 degrees East. In January of this year, SJ-17 was moved off the 118 degrees East location and then something very strange happened. As it drifted, the spacecraft made a manoeuvre, on about 25 January, that actually reapplied an inclination of circa four degrees relative to the equatorial plane. At the time this was thought to be just a life-extending measure in common with many other satellites – see above. However, at less than two years old, SJ-17 was still very young for a comsat – making the move very unusual because it was done so early – or so late in the case of a satellite always planned to be inclined. Western space analysts were even more surprised in July when the spacecraft changed this inclination, raising its apogee for a time to make the “fuel expensive” inclination removal a little less costly. The four-degree inclination removed was not insignificant being roughly equivalent to the amount which has to be removed for GEO satellites launched by an Ariane 5 rocket flying due East from Kourou, French Guiana. SJ-17 has now settled back into GEO proper. After drifting around various locations, it now appears to be stabilised over 94.1 degrees East. So the question is: just what was SJ-17 doing on this inclined orbit jaunt? Various reasons have been suggested. For example, its announced experimental communications function might have meant that this inclination was added to test the ability of the satellite’s communication footprint to reach high-latitude locations. Alternatively, and more likely, it may have been a test of the spacecraft’s new “green propellant” ammonium dinitramide (ADN) thruster system. The other announced function of SJ-17 was for orbital debris monitoring. A change of inclination might have been required to image this debris – even if it was another satellite rather than space debris that was having its picture taken. Mind you, the Chinese will never admit to that.